Francis A. Lea of Phila. 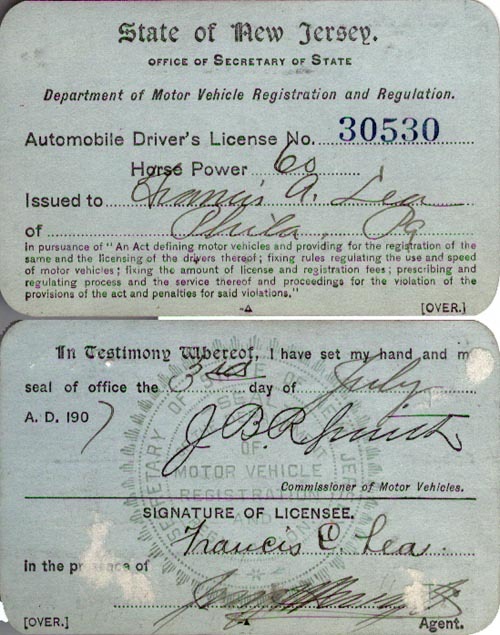 Pa, Automobile Driver's License No. 30530 issued July 3rd, 1907. Are you looking for LEA ancestors? If so, we suggest posting a query to our Community Message Board to get assistance from other researchers.